There are many pest control methods applicable to different situations. Pests bring harm to people posing health risks, destroying food supplies and the surrounding environment in various ways. Before deciding on how best to control pests in your home or business premises, it is important to learn about them and the most effective ways to eliminate them. Below are all the different methods of pest control in Singapore. Organic methods involve natural ways of eradicating pests. Many prefer organic pest control methods because of the zero risks they pose to the surrounding. Organic methods mostly consist of traps, baits or spray. You are assured of the safety of your kids, pets, food supplies and your plants. In other situations, organic pest control methods are not effective. Using chemicals is another option. There are many chemicals one can use to get rid of pests at home and in business premises. It is good to seek the advice of specialists before using chemicals. Some chemicals can be very dangerous and should be used with maximum caution. The chemicals can be in the form of aerosols, solids or liquids. Biological pest control involves the use of living organisms to control the vermin population in the environment. One has to choose a living organism that feeds on the specific pest but brings no harm to any other living organisms in the area, a concept that will force you to involve a professional for the best advice. These methods have become very popular because they are very beneficial. It is completely chemical free and there are minimum safety concerns. Technology has given birth to amazing pest control solutions. There are electric gadgets one can use to totally eliminate pests. There are basically two types of electronic pest control methods, ultrasonic and electromagnetic. For the ultrasonic method, the gadgets produce high-frequency, short-length sound waves that irritate the pests. Electromagnetic methods work effectively by affecting the nervous system of some pests, in most cases rodents and insects. A clean place will not attract pests. It is important to practice good hygiene routines. Ensure you dispose of food leftovers and always clean house and office areas and items regularly. You will be surprised that maintaining hygiene control will prevent extreme pest invasions effectively. 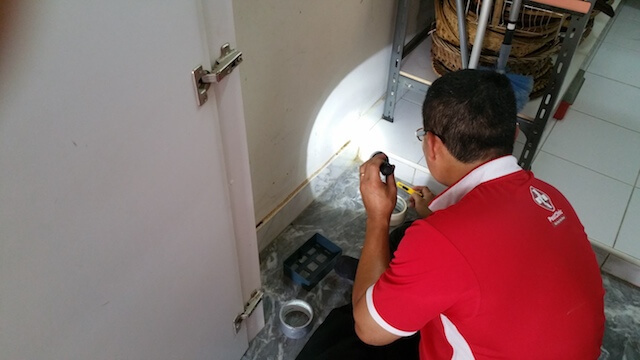 For better results, it is good to seek advice and assistance from pest control companies in Singapore. Always ensure the company you choose experienced and trained staff to advise you on the best methods to use. Taking advantage of professional pest control services is very affordable and fulfilling as you are assured that the problem will be eradicated completely. Doing it yourself lead to spending more cash in the long run as you try different methods without desired success. Now that you are aware of the different types of pest control available, choosing the best will not be a difficult time. Get to understand the lifestyle of the pests in your home or premises, and it will help you choose an easy way to eradicate them. We are officially operating in our new office on 29th April 2019. PestClinic is a Singapore Pest Control company providing pest control services.